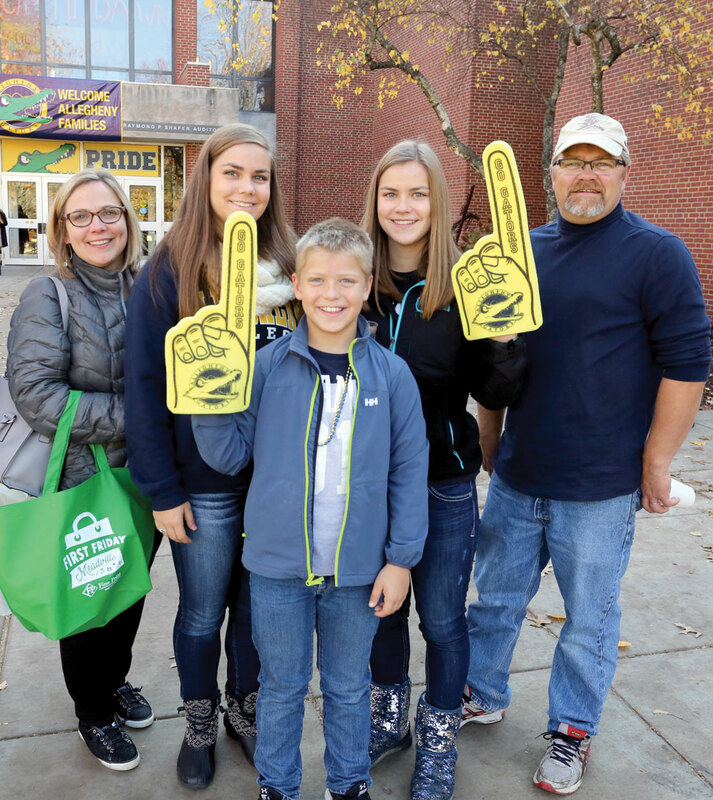 Join us for Allegheny’s Blue & Gold Weekend: A Homecoming & Family Celebration! 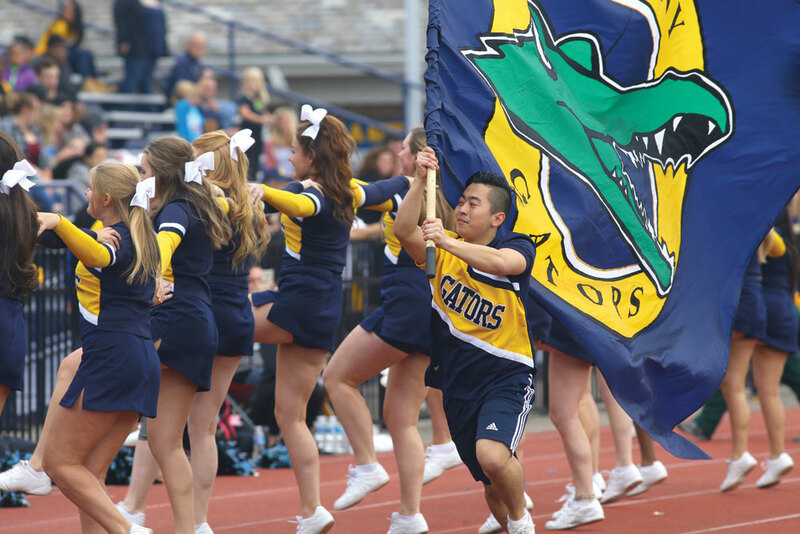 Blue & Gold Weekend is Allegheny’s celebration of the Gator community — including alumni, parents & families, students, faculty, staff, and friends. In lieu of separate Homecoming and Family Weekends, we have now combined those celebrations into one! We have a fun and action-packed weekend planned — whether you’re here for the first time or reliving the good old days. There’s something for everyone! New to our campus? Haven’t been here in a while? View our special map that showcases all of the events on and around campus during Blue & Gold Weekend. Our Visitor’s Center website has you covered: driving directions, local hotels and B&Bs, restaurants, downloadable maps, and much more! Parents and family members should stop by and check-in to get your meal ticket for the TailGator and other materials. Alumni will check in at the TailGator at Robertson Athletic Complex. Please join current and former varsity athletes and coaches at this Hall of Fame Welcome Reception. Cost: $15 per person (children 11 and younger free). Enjoy choreographed songs, singing, lip-syncing and short acts performed by members of Allegheny’s fraternities and sororities. Greek Sing is family friendly and, whether you’re Greek or not, a fun Allegheny tradition. Parents and family members should stop by check-in to get your meal ticket for the TailGator and other materials. Come see the kinds of exciting, high-impact, experiential learning opportunities our students were engaged in during the summer of 2018. Students who participated in URSCA (Undergraduate Research, Scholarship, and Creative Activities) projects, community-based research, health care shadowing, domestic and international internships, and other Gateway initiatives will present posters about their experience. Information about upcoming Experiential Learning Seminars and other Gateway opportunities will also be available during this event. Former athletic standouts Rick Kaliszewski ’90 (wrestling), Jennifer Jacobs Robinson ’95 (softball), and Ben Montgomery ’05 (soccer) will join former softball coach Sheilah Lingenfelter Gulas M’89, and longtime athletic trainer Jamie Plunkett to be enshrined as the Allegheny Hall of Fame’s 37th class. Inductees will also be recognized at halftime of the 1 pm football game. Join the brothers of Phi Gamma Delta and the sisters of Kappa Alpha Theta for burgers and hot dogs before the football game. Join students, alumni, families, and friends for a TailGator Luncheon before the football game. 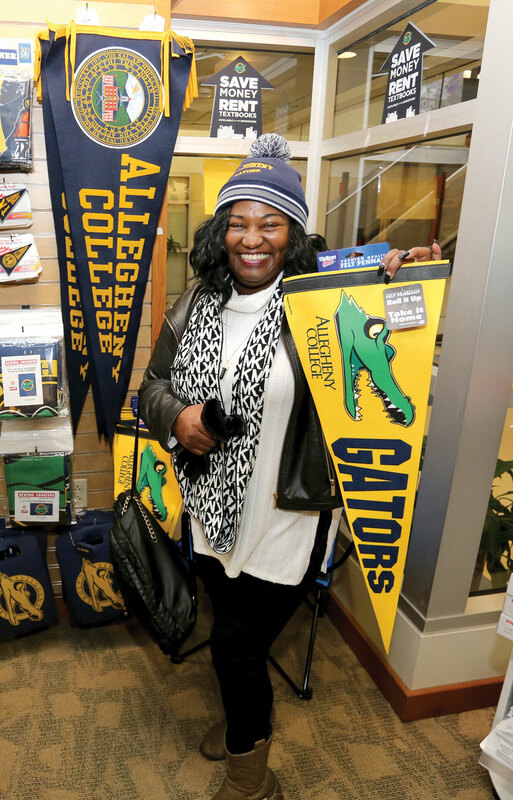 The Office of Institutional Diversity and the IDEAS Center invites you to meet and connect with alumni, families, current students, and Allegheny College staff and faculty. Join us to celebrate and learn about diversity, equity, and inclusion efforts across the College, and enjoy delicious appetizers and drinks. The Loop will be available to Blue & Gold Weekend guests. Let the driver know when you board if you wish to be dropped off at Meadville hotels. 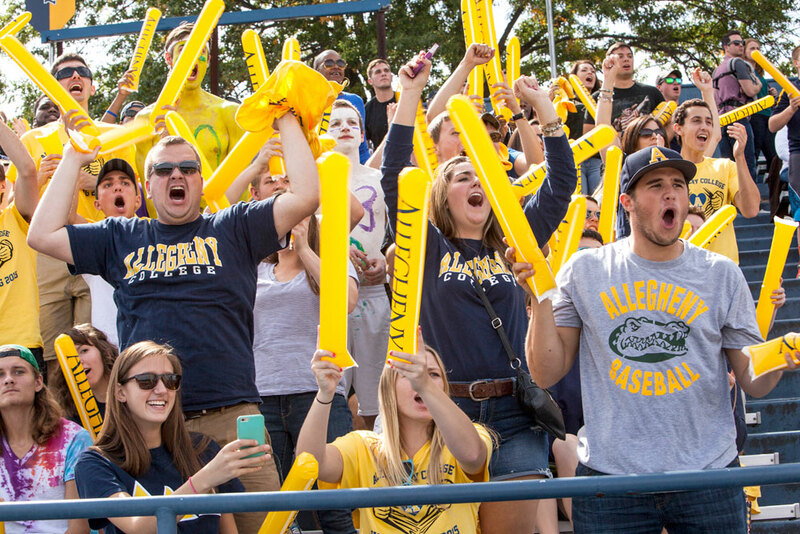 Join Allegheny College President James H. Mullen, Jr. and representatives from various college offices for this special Blue & Gold Weekend gathering. Cards Against Hypnosis is a show performed by College Hypnotist David Hall. This is an interactive, laugh out loud, drop-to-your knees funny, comedy hypnosis show! To learn more about David Hall’s show and career, please visit his website. This event is sponsored by Gator Activities Programming. The largest nighttime parade in Pennsylvania. This year’s theme is “Fairytales in Meadville”. Please note that portions of many downtown streets will be closed for this event. Visit the parade website for more information, including the parade route. DHOP is Tri Delta’s annual fundraising event for their philanthropy, St. Jude Children’s Research Hospital. For $5 you can get all you can eat blueberry, chocolate chip, plain or gluten free pancakes! We will also have sausage, fruit, coffee, water, and juice. We will have team pancake eating contests. Food will stop being served at Noon. RSVP: More details on how to sign up will be coming. Catholic Campus Minister Fr. Jeff Lucas celebrates Mass at this special early time, so families and alumni can worship with us before traveling home. Families and alumni are invited to gather for brunch any time between 10 am and 11:30 am. Chaplain Jane Ellen Nickell leads this service, which will include Holy Communion.